The Education and Skills Funding Agency (ESFA) is trying to leverage three large school projects from using the London Development Panel 2. Some of the old and some fairly recently purchased sites for schools are now being offered up to housing developers and registered social landlords. The method for this is the Mayor of London’s second development panel which has nearly 30 firms on it. One of the keys to winning these housing deals will be the delivery of schools, or perhaps in kind, within the London boroughs of Ealing, Newham and Hounslow. The first scheme goes back to 2016. This was before LOcated was born. That was when the then Education Funding Agency purchased the Acton College site, which the London Borough of Ealing identified as a school site, specifically a location for an ARK secondary free school with six forms of entry. Yet the site was also big enough to have housing developed on it too. This is called Ark Soane. This is described as a mixed-use development on the site of a former college located within 0.3 miles of Acton Town station. The next scheme is probably a LOcated purchased site on Hanworth Road, Hounslow. 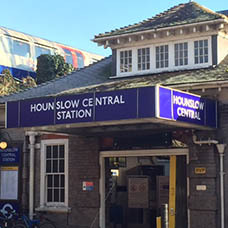 This comprises 1.1 hectares, within 0.5 miles of both Hounslow Central and Hounslow stations. This will be a mixed-use development comprising a 70 pupil special needs school and around 150 residential units. It was Pick Everard that was appointed to manage a £130 million schools programme for Hounslow in 2013 and incredibly is still there claims that due to “information security requirements” it can say nothing about its work. A schools upgrade project, on the back of Heathow Airport third runway section 106 money, is being managed by the London Borough of Hounslow which appointed Kier as its contractor. About £5 million has been spent so far. The Department of Transport claims the insulation and ventilation for all local authority schools impacted by the third runway has an estimated total value of £40 million. 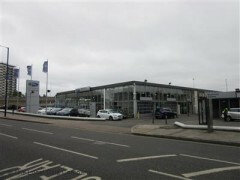 Finally there is the former Ford Garage on 259 Plaistow Road within the London Borough of Newham. This last recent planning application for this site was by Ayr (Jersey) and the architect was Maccreanor Lavington. ESFA will be out in the summer, 2019 for a developer for this 1.72 hectares site which is capable of delivering about 300 homes. The mix still has to be confirmed but likely private rental sector for sale and affordable housing. But developers will have to build a four form entry secondary school and 150 place sixth form. It is likely the scheme will be offered without planning consent. AMR Consult appointed RLB as its quantity surveyor as part of a team to assist with a master plan for a £35 million academy school called Phoenix for The Futures Trust plus £80 million of homes at White City in the London Borough of Hammersmith and Fulham. The firms on LDP2 are: A2 Dominion, Be Living, Bellway, Berkeley Group, Barratt, Catalyst, Countryside, Durkan, Engie Consortium (Engie, HUB and Delancey), Galliford Try, Hadley Property Group, Higgins, Hill, Hyde, Lendlease, London & Quadrant Housing Trust, Morgan Sindall Consortium (Morgan Sindall, Muse and Lovell), Native Land, Notting Hill Genesis, Optivo, Peabody, Pinnacle Group, Prospect House Consortium (Stanhope, Network Homes and Laing O’Rourke), Quintain, Redrow, Swan Igloo Consortium (Swan Housing Association and Igloo), Telford Homes, U + I and United Living. The firms on the EFSA’s high value band schools work are: BAM, Bouygues, Bowmer & Kirkland, Kier, Laing O’Rourke, Sir Robert McAlpine, Wates and Willmott Dixon. The southern construction framework is now official the London element which is £5 million and plus comprises: Bam, Galliford Try, ISG, Kier, Mace, Morgan Sindall, Wates and Willmott Dixon.